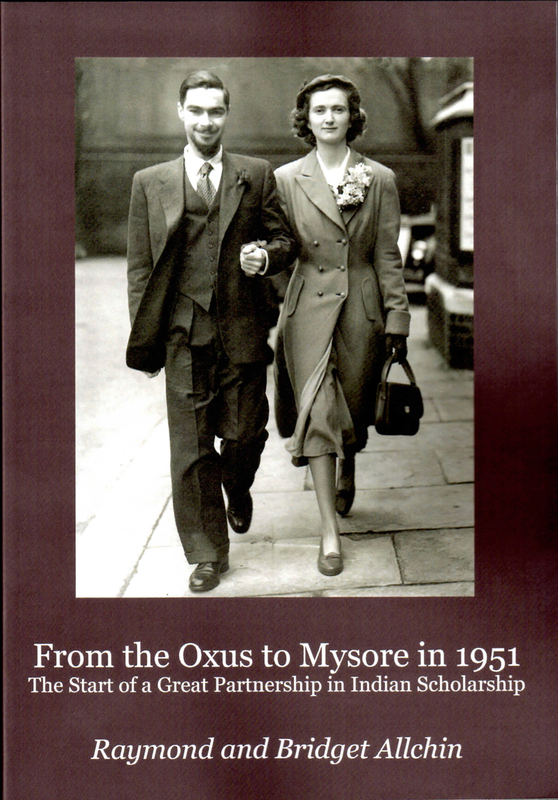 12th October 2012 saw the publication of From the Oxus to Mysore in 1951: The Start of a Great Partnership in Indian Scholarship, the much-awaited memoirs of a year in India, Pakistan, and Afghanistan, by Raymond and Bridget Allchin. Raymond and Bridget Allchin are legendary figures in the field of South Asian Archaeology. They led – as Sir Nicholas Barrington says in his introduction – ‘busy lives’, in the UK and made frequent archaeological trips to South Asia, weaving a partnership of overlapping areas of knowledge and skills. The story they tell here is first of their early years and influences, their very different experiences of World War II and the changes it brought, and of how they met, in London, in 1950. Within a year, they are married and setting out together on their first joint visit to India, Pakistan and Afghanistan. It is the narrative of this exciting and at times demanding journey that fills the rest of the book. History, anthropology, religion, politics and a detailed account of how the Allchins made a pioneering archaeological excavation of the prehistoric Piklihal site in southern India, spills of the page amid the practicalities of travel and daily life. There is variety of detail everywhere about bazaars, clothes, food and family homes and about cities and remote settlements. The book is a record of the scholars with whom they came into contact and of the friendship and hospitality they found everywhere in the subcontinent.